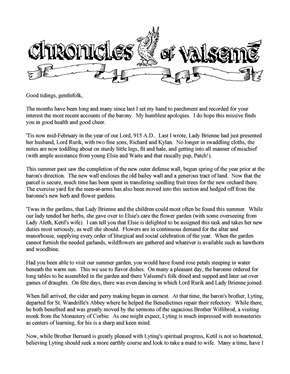 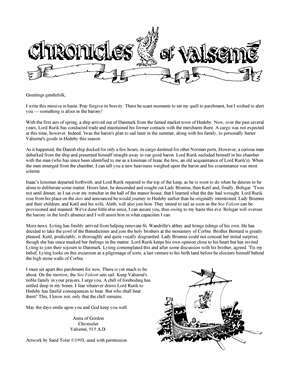 The three Chronicles of Valsemé newsletters bridge the period between the end of The Valiant Heart and the beginning of The Defiant Heart (if you have not read The Valiant Heart, please be aware that these newsletters contain spoilers). 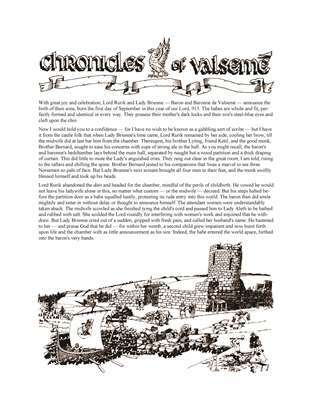 Click on each image below to download each Chronicle in order from left to right in PDF format for viewing and/or printing with a PDF Reader . . .